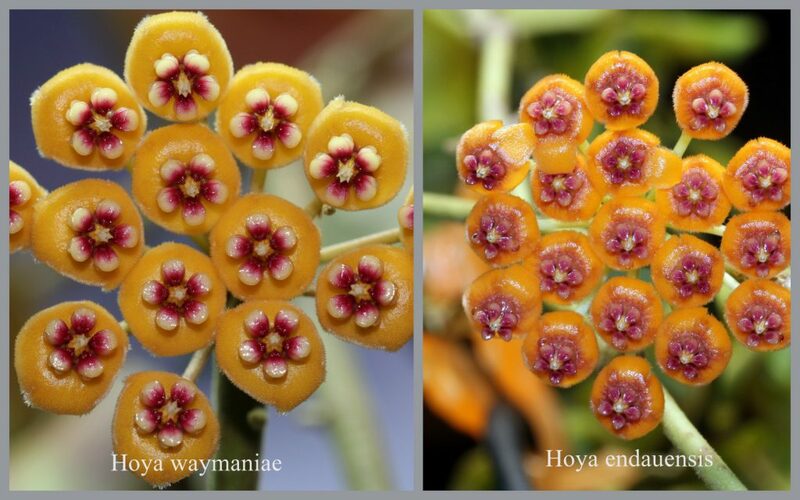 I used to think that Hoya endauensis and Hoya waymaniae had almost identical flowers, but when seen side by side in the photos below there are considerable differences. 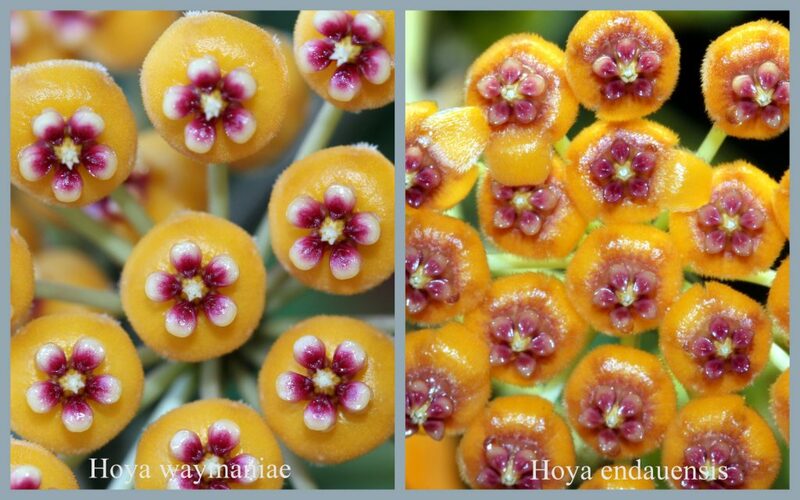 The foliage of the plants could not be much more different. This entry was posted in Hoya Movies on July 29, 2016 by Doug.